Braids Hairstyles look great on everyone regardless of age, culture, or ethnicity. There are so many braiding hairstyles to choose from. Here I have just about every braided hairstyle that you can find out there. There are some that are creative and art form like, while others are simplistic and elegant. 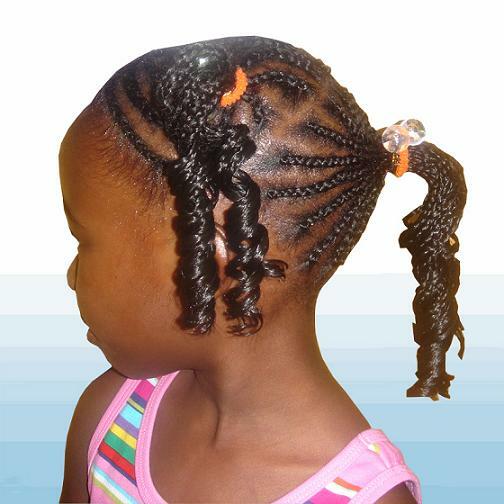 After doing countless research, it seems that most braided hairstyles are deemed from this culture. Although other individuals put their own spin and creativity to it, the origins remain the same with the African hair culture. 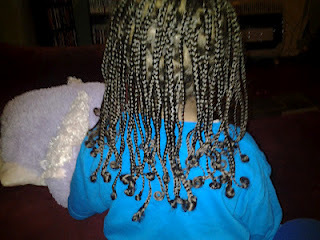 African braid hairstyles seems to be one that is more neat, lasts longer, and is installed the fastest. African stylists are very much so sought out to braid hair because of their great technique and history with braiding hair. So elegant and simplistic looking in nature, yet the installment of this style is anything but. French braided styles vary from the type that are simply straight back from the back of the head to the French braids that are wrapped around forming a lovely updo braiding hairstyle. These braids can take a while to learn, but once you do, your styling options are limitless. So of the most common types of French braids are Fishtail Braids and Dutch Braids. This type of braid was named because it resembles that of a fishtail. Fishtail braids are very lovely and also more popular than a few other braiding styles. The fishtail braid is suited best in the category of French braiding styles. You can find this style of celebrities, the average Joe, and even children. So many individuals enjoy the fishtail braiding hairstyle that it has caught on all over the world as a beautiful way to wear your hair. As we all have seen, many men love to wear their hair longer. 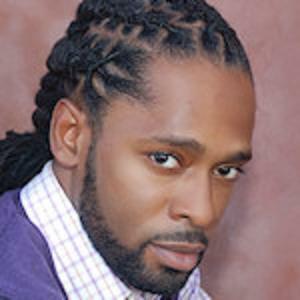 One style that a lot of men chose to grow their hair longer is braiding hairstyles and cornrow braiding hairstyles. They have learned that the most effective way to have long hair without a lot of maintenance is to just merely keep it braided up! Men get very imaginative when styling their braids. They get to do a lot of styles that women just cannot get away with. Within their cornrows I have seen designs of spider webs, zigzags, letter, numbers, and even someone who had their name! Now that’s what I call expert braiding! Boys fall right behind the men in the creative and fun categories. Just like their fathers, bothers, and uncles, you see little boys with long luxurious hair that would make any girl jealous. Boys have the upper hand in growing and maintaining braiding styles because they basically leave their hair alone, unlike us girls, which allows their hair to grow to lengths much quicker than some women and girls. Boys have been debated on have longer hair for ages, but nevertheless, you still see many boys with longer locks. Girls love their longer hair, they want to look like the little princesses they are and parents want to keep their hair healthy and shiny. One method that really helps girls keep their hair neat is braiding hairstyles. When a girls hair is keep braided up more so than let out, the hair grows longer. Yes it is true, the African culture directly passed down their braiding technique to the African American culture. We see it time and time again where the traditions of ancestors are passed along to the youth of the generation. Although there are many differences in these two culture wearing braiding hairstyles is not one of them. These two backgrounds of people have the same hair type and of course see the vast benefits of wearing braided styles.